Morgan. That’s it. I could end the review right there. Morgan has been the tease for the entire season. The finale delivered with Morgan’s reunion in a great way. From his bo staff skills in taking out a couple of Wolves’ members, to handing the ‘Rick Grimes’ map to Daryl, to walking up on Rick shooting Pete. I’m calling it right now, we’re going to have some Morgan-centric episodes in season 6 the same way we had some Governor-centric episodes in season 4. I hope you stuck around for ‘Talking Dead’. 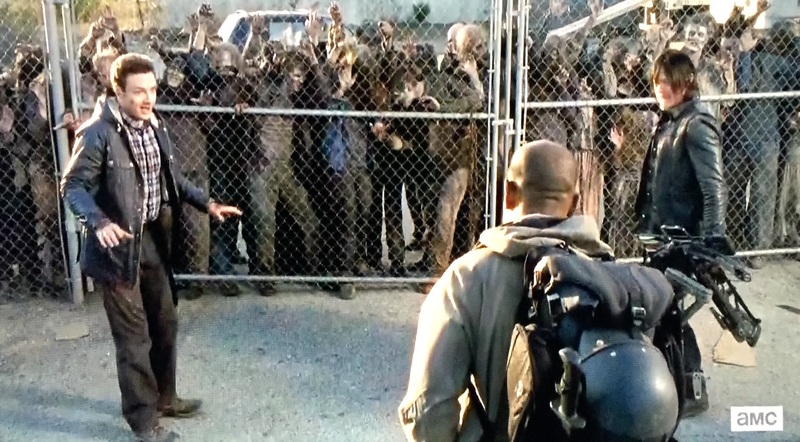 Lennie James (Morgan) describes the change in Morgan as “fundamental” and pointed out that Morgan’s view of all life being precious is extended even toward those meaning him harm. I’m looking very forward to catching up with Morgan’s redemptive moments. Speaking of redemption, let’s talk about Gabriel. The guy is ready to sacrifice himself to a walker, then he can’t. He’s charged with shutting the gate, but he can’t. Sasha reaches out to him for help, but he can’t. I’ve gone full circle with this guy. 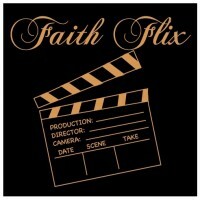 I was greatly hoping for a solid character of faith bringing stronger elements of morality, compassion, etc. into the show, but it was not to be. However, when Sasha can’t pull the trigger and Maggie, of all people, helps him up and they end in prayer and compassion for one another. “Conquer” may have been the title, but compassion was the key to this episode. 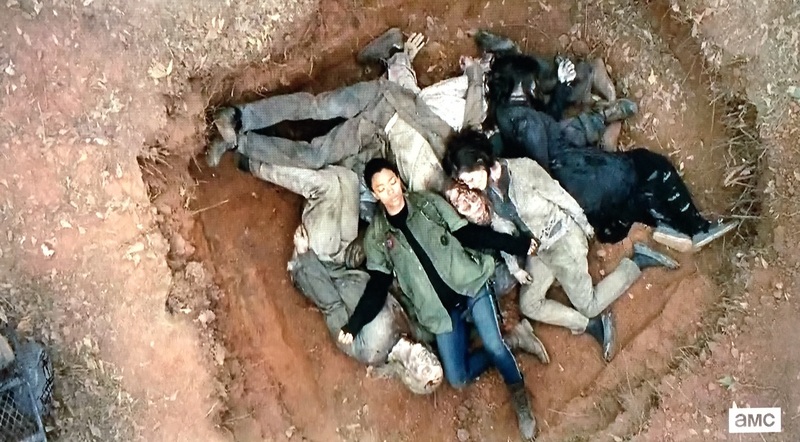 Glenn was in a position to kill Nicholas. Sasha was in a position to kill Gabriel. 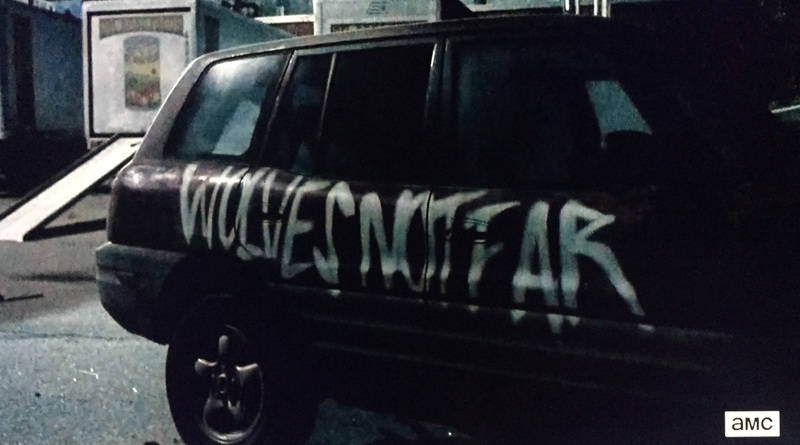 Morgan could’ve killed the Wolves members who jumped him. Carol could’ve killed Pete. But none of those things happened. In all situations our characters showed mercy and compassion. This is the ethic I’ve hoped for Gabriel to adopt and be a beacon for. In his letter to the church in Collossae, he said “So, as those who have been chosen of God, holy and beloved, put on a heart of compassion, kindness, humility, gentleness and patience, bearing with one another…” (Col. 3:12, 13). Whatever you think about whether Glenn should’ve shot Nicholas, or if Sasha should’ve shot Gabriel, they chose the path of compassion and mercy. We will see if redemption for Gabriel and Nicholas will follow. The suspense in this episode is there in every scene, even in the simplest of moments when Daryl and Aaron are tracking a potential recruit. Rick’s talk with his group on the plan moving forward is both reckless and reassuring. Reckless because they still see a way to take the town by force. But reassuring because all the group members are still loyal to Rick even after his street brawl and gun-pointing speech. Knowing they plan to stick by each other makes forthcoming town meeting all the more tense. Finally, the group marking the ‘W’ on foreheads of walkers is finally known in full. The Wolves. They will no doubt be a galvanizing force for Rick’s group and Alexandria. Morgan, Daryl and Aaron know of them and their methods. What Alexandria plans to do to prepare for them remains to be seen. This was probably the best finale since season 2 ended with Rick killing Shane. Surprisingly, it accomplished this without any deaths out of our group. The show brought the suspense to a point where it seemed inevitable, but brought in the reigns just in time. It really was built on character confrontation and resolution. Don’t count on Glenn and Nicholas to be buddy buddy, or for Maggie to attend Sunday morning worship with Gabriel, but the tension between key figures boiled to the point of explosion and really delivered while keeping our core group intact. I’d love to hear some of your thoughts of this episode or any predictions moving forward. A solid episode, to a pretty okay half-season. Still, it’s going to be a long wait till October now! Nice review Gene. Thanks Dan. One of my favorite finale’s in series history.